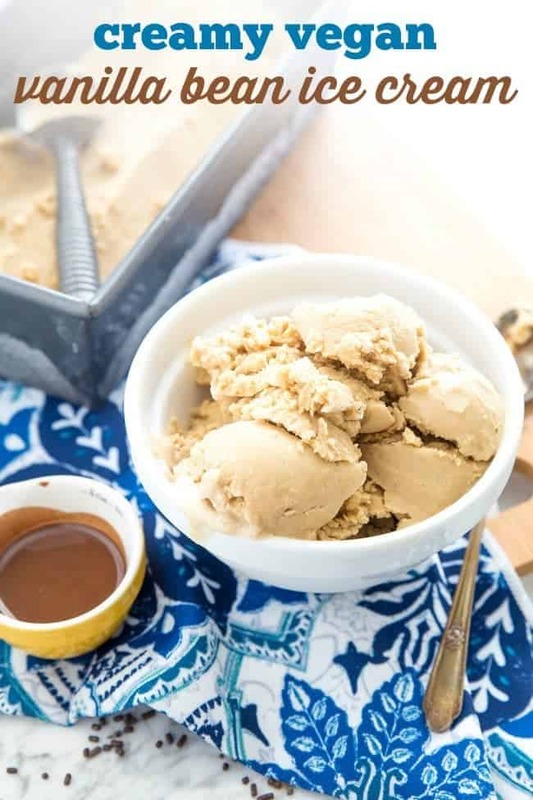 This super creamy, but dairy-free, vanilla bean ice cream is a vegan basic that you’ve gotta keep in your recipe box. The possibilities are endless once you have this base down! Ice cream. It’s literally one of my favorite foods ever. 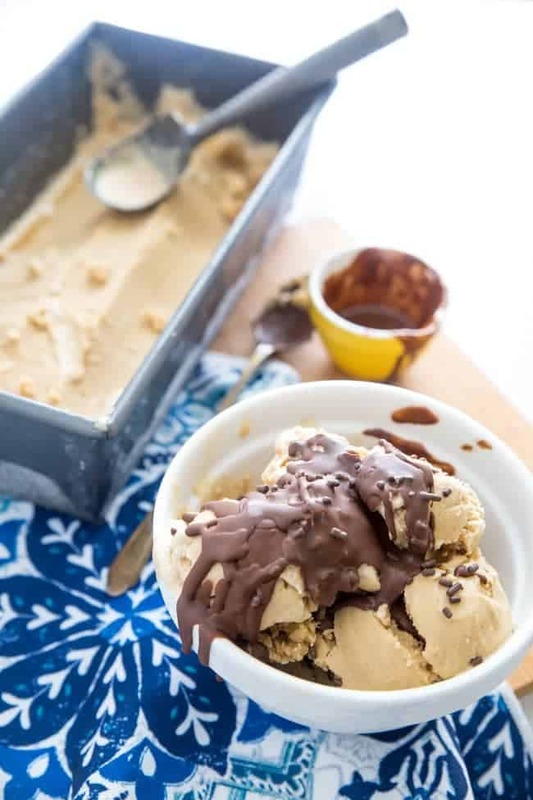 I mean, you cannot go wrong with a refreshing cold bowl of ice cream during the warm months of the year. But the thing is… you totally can. Especially when you’re trying to enjoy a healthier bowl of ice cream. There have been so many ice cream fails in my kitchen. I’ve tried frozen yogurt that just ended up an icy mess. 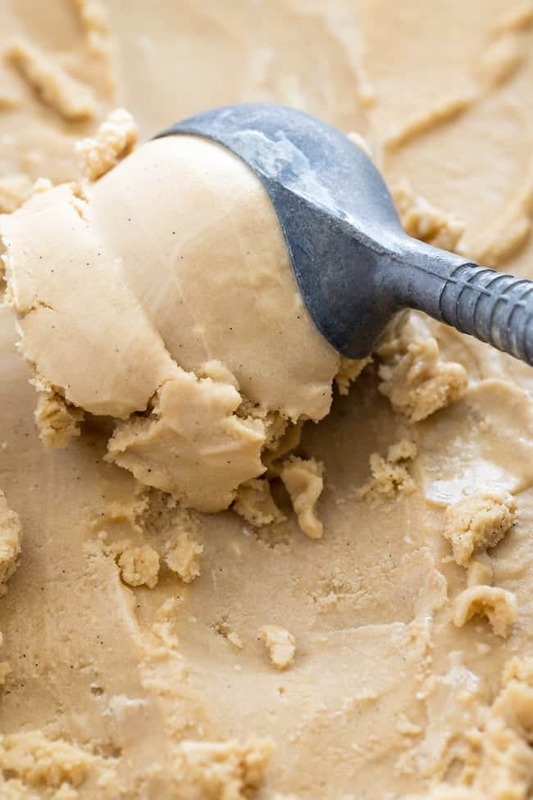 I’ve tried ice cream made with almond milk that was even icier and totally flavorless. I’ve tried coconut milk + almond milk. I’ve tried dairy-free creamer + soy milk. 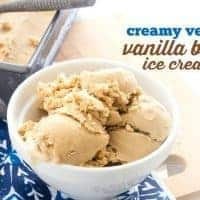 What I really wanted was a creamy dairy-free vanilla base that I could build off of. A base I can add all the delicious add-ins to. A base that’s yummy even on it’s own. A base that’s super easy to make. Plus, it’s super important that it scoops easily, is soft and creamy, and has no hint of an icy mess. And that, my friend, is what I have achieved with this delicious creamy treat. All because of the added ingredient of fluffy aquafaba. What? You have no idea what aquafaba is? You are not alone, but I promise you that it’ll change your world. Like that one time I turned it into vegan whipped cream. Anyway, so I took that fluffy whipped dream and folded it into my favorite coconut milk base and ended up with a light dessert that was even more creamy that I’d hoped for. I want my vanilla ice cream to be white, not brown… why is it brown?? That’s a result of using coconut sugar, which is naturally brown and not bleached like the sugar you’re used to. So I just ignore the color and look beyond that to the naturally beautiful brown flecks of vanilla bean. So this time around, I just started with a basic chocolate shell drizzle. What mix-ins should I add next time around? 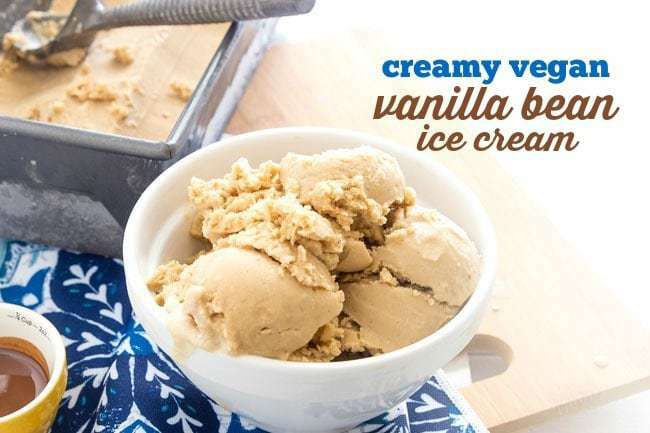 This Dairy-Free Creamy Vanilla Bean Ice Cream will be the base of all your favorite summer treats! Place coconut milk in refrigerator at least 24 hours before making ice cream. This is also a good time to be sure the bowl of your ice cream maker is in the freezer. Don't try making ice cream if you hear any sloshing around in the ice cream bowl. In a bowl, or in the bowl of a stand mixer, mix the aquafaba on high for about 5-7 minutes or until it's turned into a fluffy mixture that comes to stuff peaks. In a second bowl, mix together the coconut milk (both solid and liquid parts), vanilla bean paste, coconut sugar, and sea salt. Gently fold whipped aquafaba in with coconut milk mixture, doing your best not to deflate aquafaba. 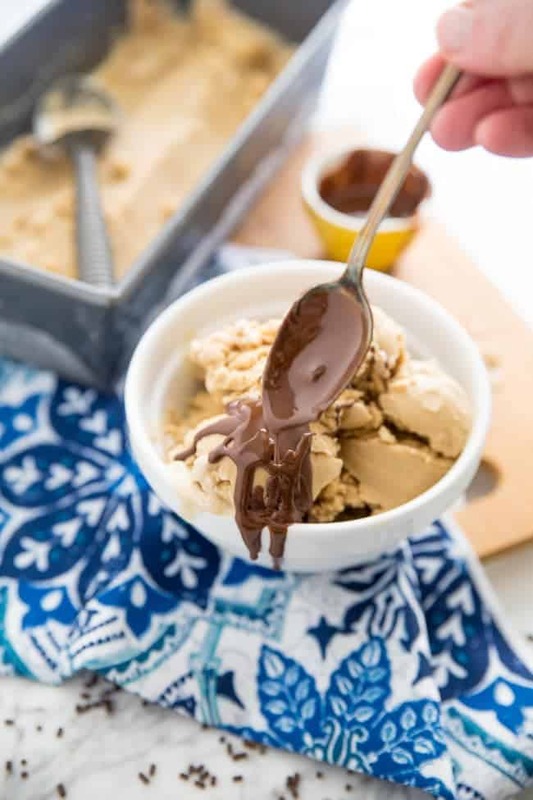 Pour mixture into ice cream maker and operate per manufacture's instructions. 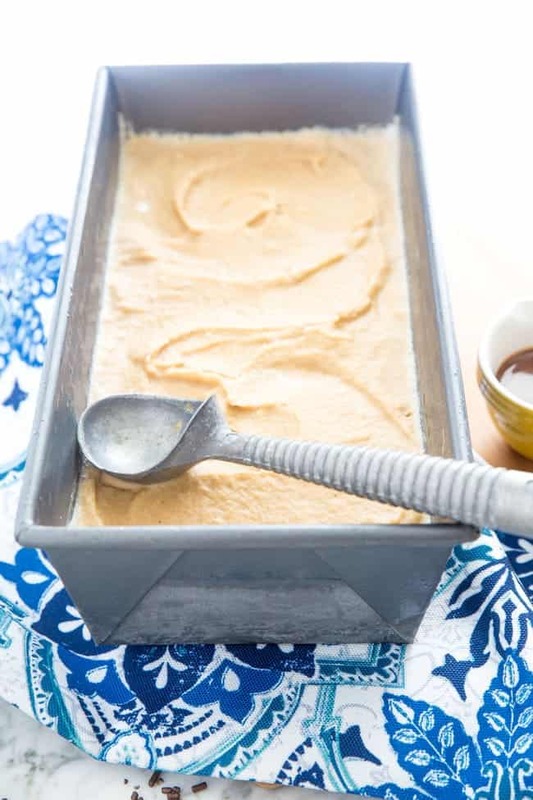 Once thick, spoon into a freezer-safe container, cover tightly, and freeze. Alternatively, you can eat it right away! 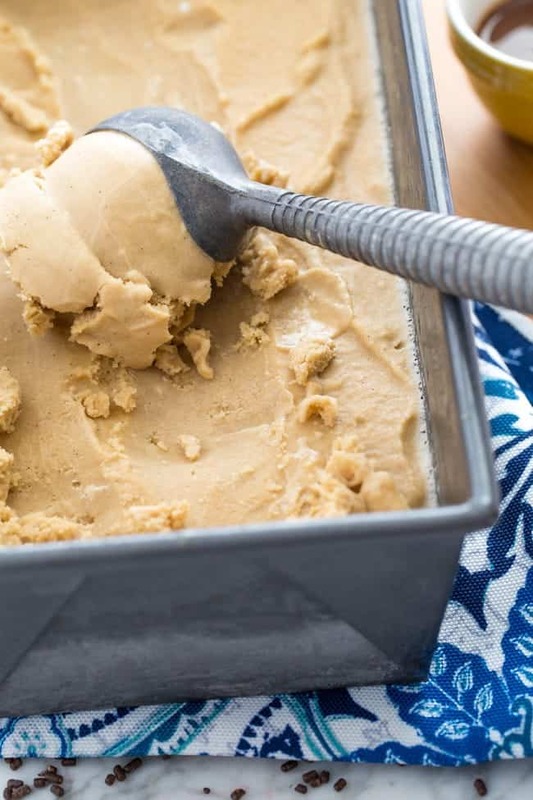 To serve, remove from freezer about 10-15 minutes before scooping with an ice cream scoop that you've run under hot water. 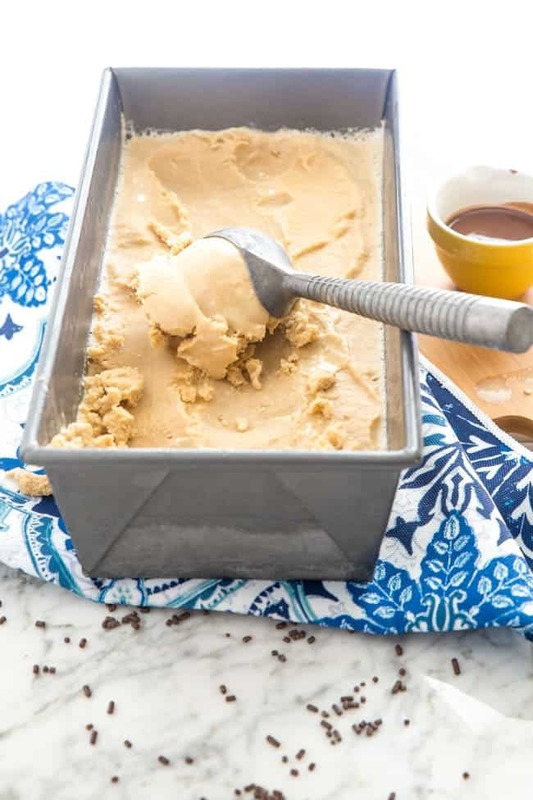 This super creamy, but dairy-free, vanilla bean ice cream is a vegan basic that you've gotta keep in your recipe box. The possibilities are endless once you have this base down!